This abstract has been submitted to the upcoming EUROCORR 2014, September 9th-12th, Pisa, Italy. By: Mariano Iannuzzi Coauthors: Mauricio Rincón-Ortiz (first author), Mariano Kappes, Martín A. Rodríguez, Ricardo Carranza, and Raúl Rebak. Work funded in part by: Raúl Rebak, GE Global Research Center. N07718 is a precipitation hardenable alloy that can be heat treated to increase its mechanical properties due to the precipitation of secondary phases containing aluminum, titanium and niobium. NACE MR0175 / ISO 15156 Table A.31 allows for a maximum hardness of HRC = 40 for heat treated Alloy 718. In general, N07718 has not been fully characterized regarding its general corrosion and localized corrosion resistance in wet environments like other corrosion resistant alloys (CRA) have, e.g. N06625 and N10276. For example, the ASTM G48 defined critical crevice and critical pitting temperatures (CCT and CPT, respectively) of annealed and heat treated N07718 are difficult to find. Pitting, crevice, and repassivation potentials (Ep, E cr, and Erp, respectively) are even harder to find. The objective of the current research is to gain more knowledge on the resistance to corrosion of N07718 both in the annealed and thermally heat treated condition, especially in environments that could be relevant to downstream oil and gas applications. Immersion and electrochemical techniques such as cyclic potentiodynamic polarization testing (ASTM G 61) and electrochemical impedance spectroscopy (ASTM G 106) were used. Results will be presented to compare the behavior of N07718 with other iron- and nickel-based alloys of similar PREN values. 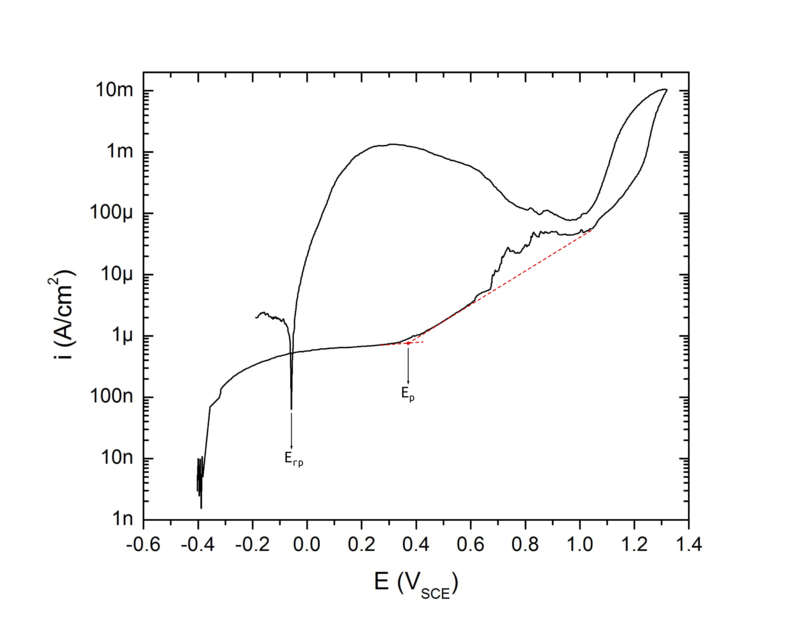 Figure 1 illustrates a typical anodic polarization plot for UNS N07718 in the solution annealed condition. Average Ep was 0.323 V vs. SCE with Erp (average Erp= –0.052 V vs. SCE) on par with repassivation potentials of common austenitic stainless steels (e.g. UNS S31700).